The packaging is nice though. 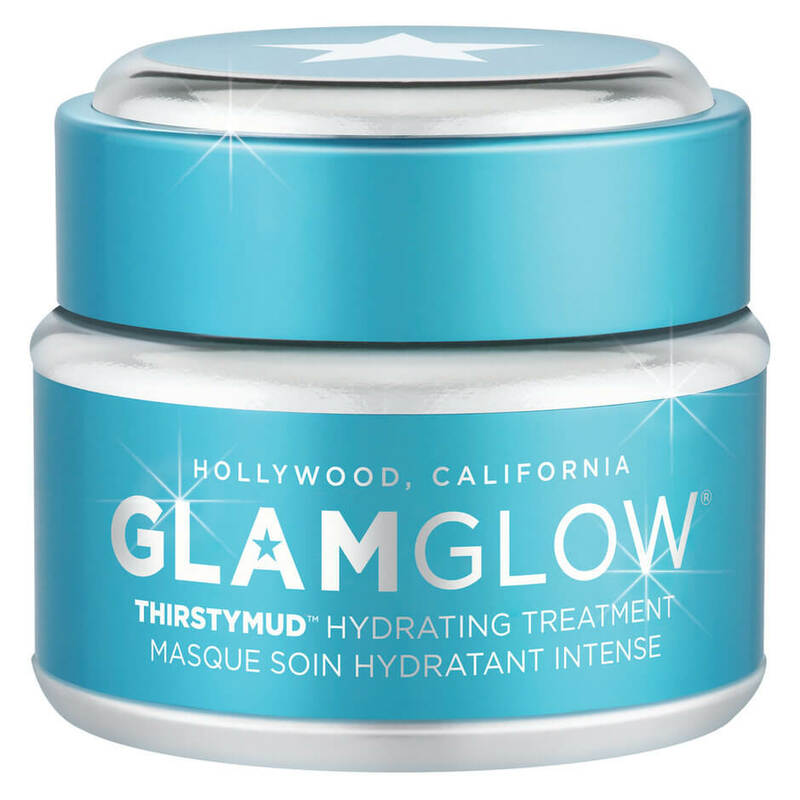 The Claims: Hydrates, calms, replenishes and restores the skin. The Color: Caramel in the packaging, clear when applied to the skin. The Scent: Heavily fragranced, so beware if you have sensitive skin. The scent is a little bit coconut, a little bit butterscotch-y and a little bit plastic-y. Usage: I used a sample of this (got probably six uses out of it), and the directions said to apply a thin layer and either “leave it on for 10-20 minutes then tissue or rinse off” or “leave it on overnight.” So two opposite sets of instructions? Interesting. The Results: My skin did feel very soft after rinsing it off. I never left it on overnight because after 20 minutes, it started to feel a weird combination of both slightly burning and slightly cooling on my skin. I noticed a little glow, but nothing too impressive. I didn’t get any irritation or breakouts from this mask, but I did do a patch test 24 hours before testing it on my whole face. I liked this mask enough to use the entire sample (I’ve thrown samples away before after one use), and my skin did feel hydrated after. But I suspect it’s more of a souped up moisturizer than a mask. I’m distrustful of a mask that you don’t rinse off after a specified time. I don’t think it’s the worst mask out there, but I wouldn’t shell out $69 for this product. If anyone has a good hydrating mask suggestion they can share with the class, please feel free to comment. Task #1: Read this post. By now, I’m sure you have read my Wedding Hair & Makeup Help blog post and narrowed down your top picks for your beauty services team. Your next step is to contact those companies to see if they are available on your date. The best way to do that is to send them an email with the information they’ll need to check availability and give you the appropriate rates and information. If they have all of the info they need from you, a good company will get back to you quickly with their availability, so you can then proceed with the process. My company’s website has required fields for the necessary info, and wedding websites like WeddingWire and The Knot have some of the same required fields. But if you are contacting a company on Instagram, Facebook or via an email address you have, you might not know where to start. Need help drafting that email? I got you, girl. Here’s how to do it. Here’s When It Goes Down. I recommend giving your full wedding date, as established companies are often always booking the current year as well as the following year. And especially if your wedding is not on a Friday, Saturday or Sunday, you should also provide the day of the week. “Saturday, 7/7/18” eliminates the need for any followup questions regarding the date. Tell ‘Em What You Need. Do you need hair services, makeup services or both? This will allow the company to know whether to contact/assign hair stylists, makeup artists or both. Where’s The Party At? If you are using an on-location beauty team, provide the location of where you will be getting ready that day. If you don’t have an exact address yet (maybe because you are deciding between two hotels or a hotel and Airbnb), then at least provide the city/town. It’s important that you tell the company where the hair and/or makeup services will be taking place, not where your wedding ceremony or reception is. They likely need this info to figure out a) who on their team is available and b) if there will be a travel fee. If you tell them your wedding is in Boston but you are actually getting ready at a hotel 30 minutes away, that could affect their pricing and availability. How Deep Do You Roll? You may not know the exact number of people who will be getting hair and makeup done, but it’s helpful if you can provide an estimate. The reason for this is that many companies who travel have a service minimum, so if you don’t meet that, they should let you know that upon inquiry in case you can find other people who will want their hair and/or makeup done or have to look for another company. On the other end of the spectrum, if you have a big group, the company will probably find it helpful to know that, as they may want to make sure they have enough people to potentially accommodate your group size. Time It Right. I suggest mentioning your ceremony time in your inquiry. This may also affect the company’s availability. (For example, if you have a 10:00am ceremony–they exist–and the company has other weddings booked on your date but those groups don’t need to be ready until later in the day, they may still be able to accommodate your group.) Bonus points if you also mention whether or not you are doing a First Look, as that affects timing too. 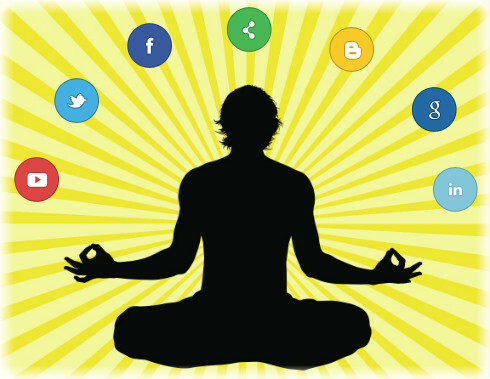 Who’s Your Connect? I always ask clients this anyway, but I (and I would think most business owners) appreciate knowing how someone heard about their company. At AB Beauty, we have a Referral Rewards Program for people who refer brides who book. Those people get a $25 Sephora eGift card after the wedding as a thank you, so it’s helpful to know if someone was a referral. And unless an email came directly from WeddingWire or The Knot, I don’t really know how someone found AB Beauty. So this is not going to affect pricing or availability, but worth a mention. Still not sure how to craft your inquiry masterpiece? Here’s a sample. My cousin, Joan Holloway, recommended your company, as she hired you for her wedding last spring. I am looking for hair and makeup services for my Saturday, 7/7/18 wedding. We will be getting ready at the Marriott in Newport, RI. Our ceremony is at 5:00pm, but we are probably doing a First Look. I have seven bridesmaids and two mothers who will likely want hair and/or makeup, plus three Flower Girls. Are you available on my date? If so, can you please send me your rates* and any other important info? A thorough inquiry means you don’t have to go back and forth with a company, giving them the info they so they can tell you if they are available on your date. It’s the most efficient way to potentially move forward with your wedding beauty services and cross that task off your planning To Do list. If you’ve got questions, I’ve got answers, so feel free to holla at me in the comments. *Even if rates are listed on a website, I recommend asking for them in case they change after you book and the company increases their pricing. It’s best to have your quoted rates in writing to prevent any confusion. It’s too bad there aren’t many options to play around with. Eyeliner. It’s common to have a love/hate relationship with the product that can emphasize and flatter your eyes, or make you look like a crazy person. There are different formulations–pencil, gel and liquid being the three main ones–and every color you can think of on the market. Eyeliner can make your eyes look bigger, smaller, more rounded, more almond, closer together or further apart. It can highlight your eye color or bring out the different flecks of color you might not even know you had. It can make you look sultry, more awake, retro or trendy. It’s no wonder that eyeliner is part of the daily routine of so many women. 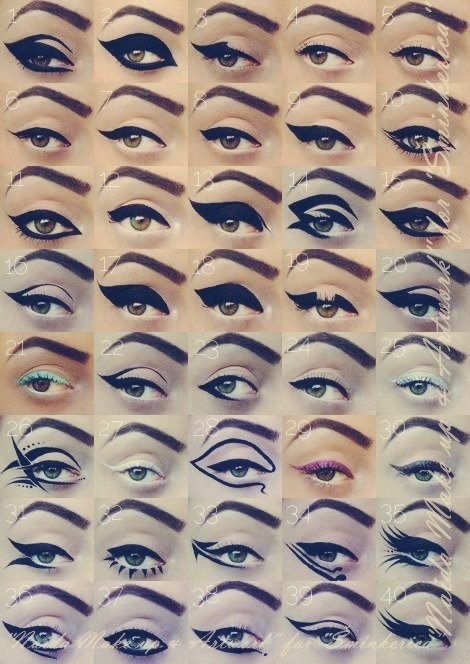 As awesome as eyeliner is, it can be tricky to apply. I could write a series of posts about the various formulations, techniques and what works best on different eye shapes, but I don’t know how helpful that would be. So I’ve decided help you out with some eyeliner tutorials from professional makeup artists on YouTube. With pro guidance and some practice, you too can excel in eyeliner application. Sound good? Winged Liner. A classic look, and the one people struggle with the most. Let Lisa Eldridge be your guide. Sultry Eyeliner. A great night out eye makeup look. This is full on so it might feel pretty dramatic if you don’t normally wear eyeliner. It will make your eyes look smaller, so if your eyes are already on the smaller side, it’s probably not the best choice for you. Kitten Flick with Liquid Liner. A little easier (and subtle) than a full winged look. You could also do this with a gel liner. Off White Liner. If you want to make your eyes look bigger or more awake, watch this one. Cat Eye Look. Contrary to popular belief, it’s different than a winged liner. Similar to to the sultry liner, but Charlotte Tilbury has some other application tips. Something Different. Feeling adventurous? Give this a try. Did I miss any? If so, leave a comment and I’ll find a good tutorial to help guide you. 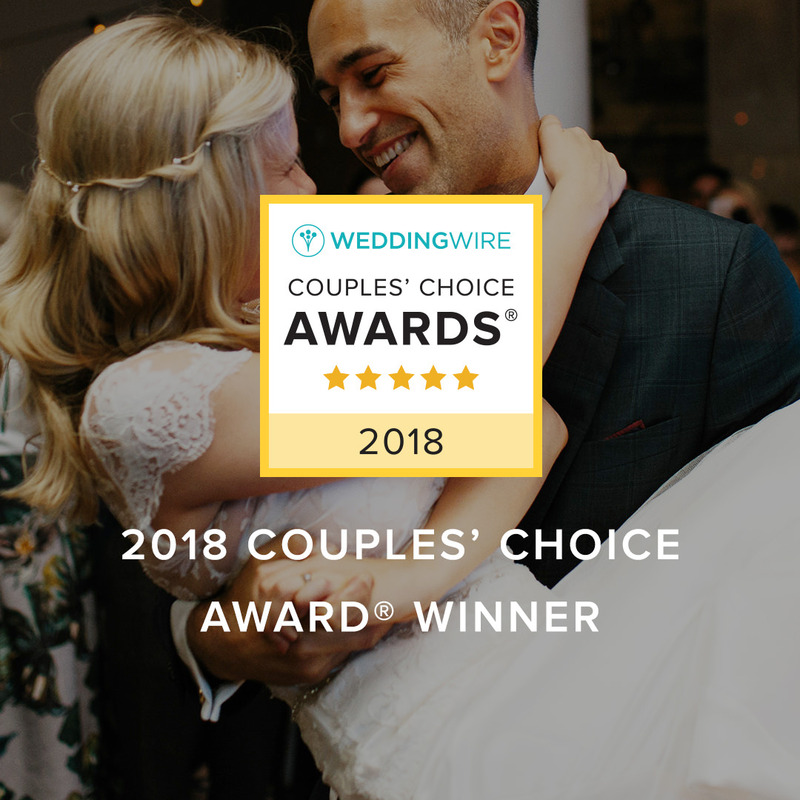 WeddingWire 2018 Couples’ Choice Award Winner! NEWPORT, RI — January 10, 2018 — Allison Barbera Beauty recently announced its recognition as a winner of the esteemed 2018 WeddingWire Couples’ Choice AwardⓇ for beauty services in Rhode Island. This is the company’s eighth consecutive Couples’ Choice Award. Allison Barbera Beauty was recognized as a recipient solely based on reviews from newlyweds and their experiences working with them. Award-winning vendors are distinguished for the quality, quantity, consistency and timeliness of the reviews they have received from their past clients. Allison Barbera Beauty is thrilled to be one of the top beauty service providers in Rhode Island on WeddingWire.com. For more information about Allison Barbera Beauty, please visit us on WeddingWire. Be a calm bride who hangs out in windows, not a frazzled bride who doesn’t like her hair and makeup team. Hello, gorgeous! 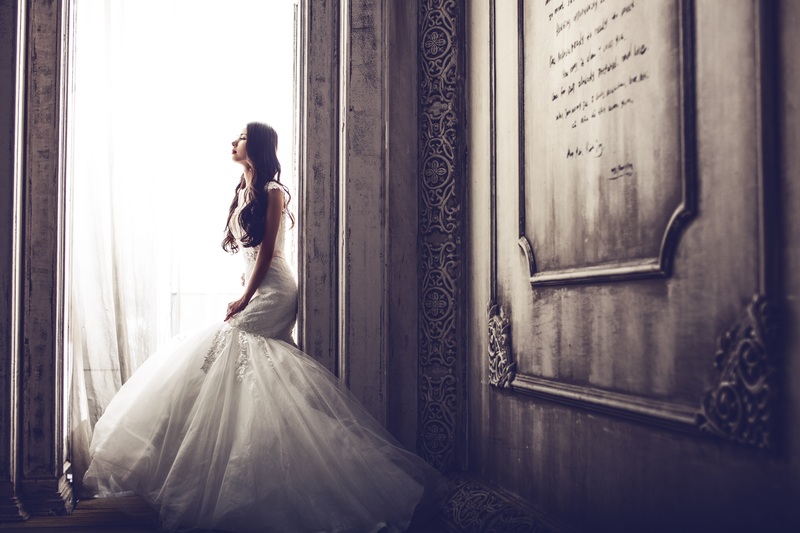 Are you a bride-to-be? Congratulations! It’s an exciting time and even though I don’t know you, I’m happy for you. But let’s be real–wedding planning can be overwhelming. There are SO MANY VENDORS to choose from, and unless you work in the industry or have been involved with planning a wedding before, it’s hard to know where to start. Websites like WeddingWire and The Knot can help with the process, as can a good wedding planner. But when it comes to choosing a beauty services company, it can be tricky figuring out which ones are good and which ones will make your planning harder than it needs to be. The first thing I recommend is to check out vendor listings on WeddingWire. Pour yourself a glass of wine/cup of coffee/shot of tequila, because this might take a while. You’ll see some basic info and a few pictures from each company and if you like their work, look at their website. (If they don’t have a website, you’re likely not dealing with a very professional or established company.) If their website looks legit and their pricing is in your budget (hopefully it’s on their website), then read through their reviews. There will probably be more positive than negative reviews, so I suggest sorting the reviews by lowest rating. If you see a theme of the same bad vendor behavior in the reviews, that can be a warning sign. I’m not talking a couple reviews or ones that don’t say anything but just give a low rating. But if you consistently see the same negative comments or low ratings in the same area, be careful. A few things to watch for in the reviews. Punctuality. Many of the bad reviews I’ve read start with “They showed up 15/30/45 minutes late.” If you see several reviews that mention artists/stylists being late the day of, bustle your gown so you can run. Wedding hair and makeup professionals are usually the first vendor of the day, so if they don’t start on time, that can have a domino effect and make your whole day run late. There’s enough to worry about with the day-of timeline, so why put the start to your day in the hands of a vendor who dismisses the importance of that? Responsiveness. Wedding planning is a time sensitive thing, and sometimes you can’t make your next move with one vendor until another vendor answers you. And that should not take days. If you see multiple reviews that say a hair and makeup company was slow to respond or brides often had to chase them down for responses, do not book them. They are guaranteed to add stress to your wedding planning, and that’s the last thing you need! WeddingWire has a specific “Responsiveness” category, so I strongly recommend looking at that in the overall rating for a vendor. Running on Schedule. An experienced wedding hair and makeup team should run on schedule, so buyer beware if you see a lot of reviews stating a particular company ran late. As long as the people in your group show up on time, know what they want, and don’t get up from the chair during their services, the hair stylists and makeup artists should be able to complete all services in the allotted time. One Contact Person. Multiple points of contact for any wedding vendor transaction can add a lot of confusion to the process. If you come across reviews that mention this issue, tread carefully. 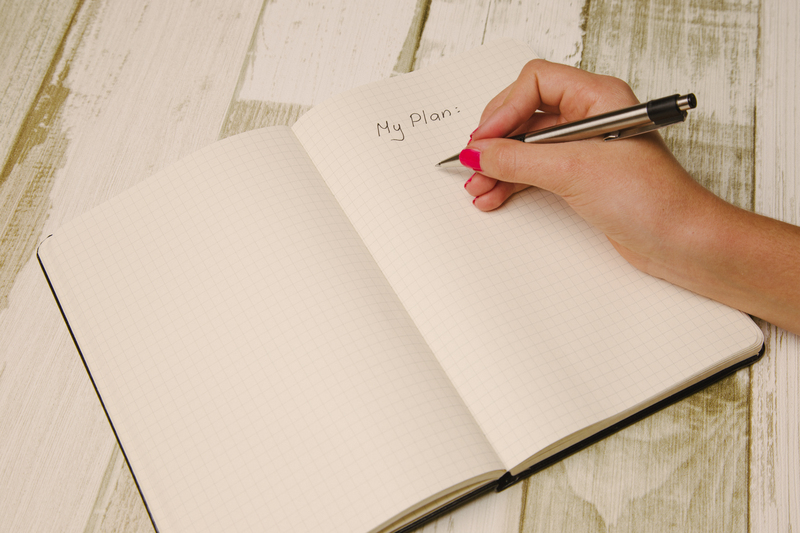 A company with constant turnover or lack of internal structure is likely to add some unnecessary frustration to your planning process. No Excuses. Most wedding review websites will allow vendors to respond to reviews. If you read negative-review responses that are full of excuses from a beauty services company, I strongly suggestion you move on. Excuses and defensiveness are signs that a company lacks professionalism, and is that really who you want to deal with? After you’ve narrowed down your choices, you’ll want to ask some questions once you establish that the company has your date available. If they can’t answer some of these questions or seem to be evading certain ones, proceed with caution. How long have you been in business? Not just the hair stylists and makeup artists on the team, but how long has the company been around? Experience doesn’t guarantee that a more established company will always be better, but being in business for at least five years means there is a good chance the company has come across (and hopefully smoothed out) all the normal issues on the operational side and has learned how to make the entire hair and makeup process smooth and easy for their clients. A brand new business may not be aware of how to handle everything because it’s hard to know how to address issues you haven’t encountered yet. If you have a question they haven’t heard or a situation they haven’t come across yet, that may cause delays and confusion that will negatively affect your experience. Do you do this full time or part-time? Ideally whoever your main point of contact is (the owner, your hair stylist or makeup artist, a bridal coordinator, etc.) will work full-time. Wedding questions are sometimes time sensitive and having to wait several days for a response because your point of contact only works three days a week can be frustrating and cause delays with your wedding planning process. Are there any hidden fees? At AB Beauty, all of our charges are covered in the rates list and/or FAQs we send upon inquiries. There are no surprise charges and your rates are locked in once you book, regardless of company rate increases. If a company can’t provide you with all of their rates and charges in writing, don’t trust them. That’s not tinnitus you’re hearing–it’s warning bells. Do you use a contract? Steer clear of a company that doesn’t use a contract. I’ve gotten several calls from panicked brides over the years whose hair and/or makeup team last minute cancelled on them, and in those situations, the services were always “booked” without a written contract. A good contract will protect both parties, and is also a testament to the level of professionalism that company has. How much is the deposit? Amounts can vary depending on the services you book, but you should be able to get a definitive answer on how much your’s is. If a company can’t provide that answer for you, or seems like they are just saying a number, that’s suspect. Do you travel? Let’s face it–it’s way more convenient and comfortable to have your beauty team go to you. It eliminates the level of stress that accompanies having to get to a salon and back, nevermind the chunk of time that takes out of your day. If this isn’t important to you, that’s cool. But it’s something worth asking about if you are even slightly considering having a team go to you. Do you use a schedule? At AB Beauty, we do an average of ten hair and ten makeup services at each wedding (but have done as many as 22). Without a schedule for hair and makeup, things can get very chaotic very quickly. And do you know what chaos leads to? Things not running on time. We are sometimes booked for just hair services or just makeup services and work with another company for whatever we aren’t doing, and when they don’t have a schedule, it always causes the day to run less smoothly than it would with a schedule. How do your trials work? If you are going to do a trial–and I strongly recommend you do–you’ll want to find out where the company does their trials, how much a trial costs, if they have certain days or hours they do trials, etc., as some of these factors may influence whether or not you want to book with them. Your point of contact should be able to give you clear answers to these questions without hesitation. What kind of makeup do you use? There are lot of great product lines out there, and maybe you like specific ones. An experienced makeup artist should be able to name two or three of the lines they use most. I personally wouldn’t recommend booking a makeup artist who has a kit full of drugstore makeup, as it those products overall (with a few exceptions) don’t tend to stay on as long or blend as well as higher end makeup products. Are false lashes included? If you are interested in false lashes, you’ll want to ask if they are included in the makeup service (they are at AB Beauty!) or are a separate cost. Will I have the same makeup artist and hair stylist the day-of as I would at my trial? If you are doing a hair and makeup trial, you’ll of course want specific hair and makeup looks, but you’ll also want to make sure you like and trust your artist and stylist. Some companies will put you with different people the day of your wedding and while they may be able to duplicate your trial looks, you may not have the same rapport as you did with your original team. I strongly suggest working with a company who does not switch artists and stylists from your trial. How many weddings do you normally do each year? If you are unclear as to whether or not you are dealing with an established company, hit ’em with this question. If they tell you they only do five or ten weddings a year, it’s either a part-time or new business and they probably don’t have the type of experience a company who does 50+ a year does. That will likely translate into a less of a smooth process, so I’d keep that in mind. Do you have any references? If a company doesn’t have many reviews but you like everything else you have seen or read, there’s no reason you can’t ask for references from past brides. If a company can’t or won’t honor your request for this, something is up. One more thing that’s worth a mention: As you comb through websites and Instagram, you may see some people who call themselves “celebrity” hair stylists and makeup artists. True celebrity hair and stylists and makeup artists don’t usually promote themselves as such, and if they are full-time celebrity makeup artists, they are likely not doing weddings. I have noticed that some people in my industry refer to themselves as celebrity artists/stylists, and they are people who have worked with maybe a couple “celebrities” (and I use that term loosely). I’ve worked with a few celebrities too, but that doesn’t make me a celebrity makeup artist. It’s one thing if someone refers to an artist or stylist that way in an article, but if you see the person promote themselves as one, check out their IMDB page and website portfolio and make your own judgement. I hope this post is helpful to anyone trying to figure out how to book a professional, experienced and talented hair and makeup team. If you have any questions, please feel free to comment. Why share these goals instead of keeping them to myself? Because I am a lot more likely to do something once I put it in writing. (Also, see my first Business goal.) And I think some of these goals–most likely the beauty ones–might be helpful to some people. Let’s get this 2018 Game Plan going. Mask Appeal. A good face mask works wonders. Whenever I use a mask, I think Ooooh, my skin looks so good! after. Then I forget to do another one for several weeks. Makes no sense, right? Part of the problem may be that I only currently have one mask (Clarins Beauty Flash Balm), which I also use as a primer. I think if I buy a few more–and put them somewhere where I can’t forget about them–I’ll do better with this one. If you regularly mask, good job. You’re an inspiration to me. Lotioned Up. 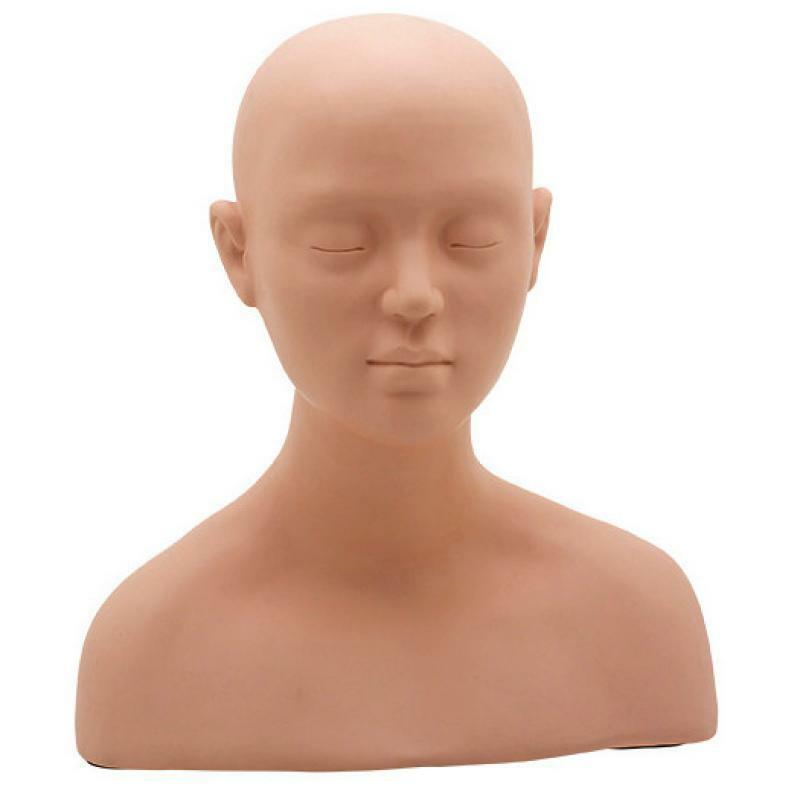 I am great at keeping my face, neck and chest moisturized, but it’s like I forget I’m not just a mannequin from Esthetics school. I have a torso and four limbs too! I have been actively trying to be better about using body lotion every day, so I’ll continue working on that. Anyone else with me on this? Note to self: You are more than this. Massage Envy. Facial massage is fantastic because it boosts circulation, which gives a glow to the skin. When more oxygen is brought to the surface of the ol’ dermis, it helps increase collagen, aka the genetic fountain of youth elixir our bodies naturally produce. To do a facial massage, use some face oil, massage into your skin for 5-10 minutes, and watch dull skin disappear. I know this, and I do it, but not often enough. I must do better. Brush It Off. Ever heard of dry brushing? It’s when you use a body brush on dry skin to rev up circulation, exfoliate, and stimulate lymph flow. I do this when I remember, but my skin will benefit if I do it more often. Doing this regularly in combination with body lotion will help me shed any winter dryness. If your body lotion isn’t quite doing the job, consider adding dry brushing to your routine. Get Blogged Down. I love writing these blog posts! But I need to do it more frequently. One of my goals for January is to write a bunch of posts to stockpile for a regular post publishing schedule. I’ve been doing better lately (have you noticed?) so I think I’m off to a good start. Template Time. I dare you to find a successful business that does not utilize some level of templating and automation. I’ve been using templates for years in my business communication, but it’s time to polish them up. This month, I’ll be reviewing and revising all templates. This will be helpful to my future admin assistant, who I daydream about daily. Socialize. My social media game could use some help. I’m not horrible at it, but I know I could do better. So I’m taking some workshops so I can step it up and make the AB Beauty brand stronger. Be a Teacher. Makeup lessons are one of my favorite services that we offer, and I don’t do them often enough. I love teaching other people how to do their own makeup, because I think it’s a helpful skill to have. My goal is to book more makeup lessons to help others emphasize the beauty they already have. Grow, Girl. I’m tryin’ to expand this beauty empire, you know? I have some specific goals and tasks I’m working on, and hopefully they will lead to a big announcement in 2018. That’s all I’m going to say about this one. How’s that for cryptic? Give Thanks. I am well aware of how great my life is. I am grateful for my supportive family and friends, the success of my business and the freedom it gives me, how I get to live in two really awesome cities (Newport, RI and Charleston, SC), my health, and a million more things. So when I get frustrated, upset or annoyed at anything, I have been trying to remind myself of what I have. I find it tough to do that when I’m in the middle of what I consider a crappy situation, but I am making an effort to think of all the good to pull myself out of the bad mood spirals. Love It or List It. I don’t own either of the apartments I live in, so I can’t list anything. (I guess the equivalent HGTV show for renters would be “Love It or Break Your Lease.”) I prioritize my beauty studio but have spent some time, effort and money making the bathroom and kitchen/living room in my Newport apartment look prettier. My bedroom, however, is U-G-L-Y. It’s a mishmash of furniture from college, past apartments and my studio before its makeover. It’s time to transform my bedroom into a room I want to spend time in instead of a room that makes me cringe. I’ve got a Pinterest board of dream bedrooms and a friend with a good eye for home decor, so I’m hoping to Love It in 2018. Overreact Much? Sometimes I catch myself making a bigger deal out of frustrating situations than I need to (mostly when I’m tired). That’s so unnecessary and doesn’t help anything. In my experience, things always work out. I have been trying to remind myself that the outcome is always fine, so I shouldn’t freak out in the interim. I was tested with this today. It’s my second full day in my winter apartment in Charleston. I have a friend visiting, and we were both planning on working from home this morning then we’d go out for lunch. But we woke up to frozen pipes and a cold apartment (even with the heat turned up high all night). My property manager said nothing could be done about it until the weather warms up. Normally, that would be maddening for me, especially because there have already been a few issues with the apartment. But today, I stayed calm. My friend and I decided we would go out for breakfast instead of lunch, and now we are at a cute little coffee shop in my neighborhood. The pipes won’t stay frozen forever, so eventually I’ll live in an apartment with running water again. Until then, there’s nothing I can do. This is a tough pill for a Sicilian Gemini to swallow, as patience isn’t our thing. But I’m trying! Listen Up. My mother is a really good listener. So good, in fact, that during phone conversations I often have to ask her if she is still there. I try to channel my Inner Mom when I’m having a conversation. If I realize I’m thinking of my response instead of listening when someone is talking, I try to snap myself out of it. I’ll be extra conscious of this going forward. By 2019, they’ll be calling me Allison “All Ears” Barbera. Win Big. Without a doubt, this is the year I win the HGTV Dream Home. I have only missed one day’s worth of entries so far, but I won’t let that happen anymore. I try for this every year, but 2018 is going to be the year I finally get it. I’m going to review this post next year and hopefully I’ll be able to say I made progress with all of these goals. You can hold me to it.